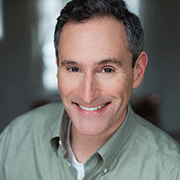 Dan Stearns is Adjunct Professor of Theatre Arts in the Department of Theatre and Film. In 2009 he received his MFA from the Shakespeare Theatre's Academy for Classical Acting at the George Washington University. He holds two degrees from the University of Chicago where he was also a Lecturer in both Humanities and Theatre and Performance Studies, as well as production manager of University Theater. He has extensive experience in theatrical production. In addition to acting on stage and screen Dan has an interest in Russian drama. His translation of Leonid Andreev's He Who Gets Slapped was produced at the University of Victoria, BC, where he was an Orion Fellow in the Arts. While living in Chicago before moving to Oxford in support of his wife's career at Ole Miss, he worked at the Goodman Theatre, Steppenwolf Theatre Company, Chicago Shakespeare Theater, and others. His on-camera experience includes television, commercials, industrial film, independent film, and new media. He is a proud member of Actors' Equity Association, the Screen Actors' Guild–American Federation of Television & Radio Artists, and the Society of American Fight Directors. Areas of Specialization include acting for stage and screen, Shakespeare, actor training.